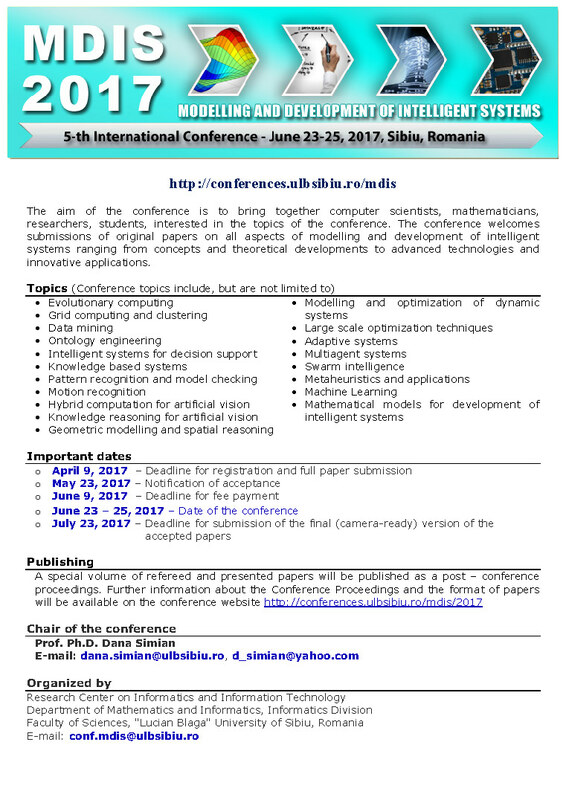 The aim of the conference is to bring together computer scientists, mathematicians, researchers, students, interested in the topics of the conference. 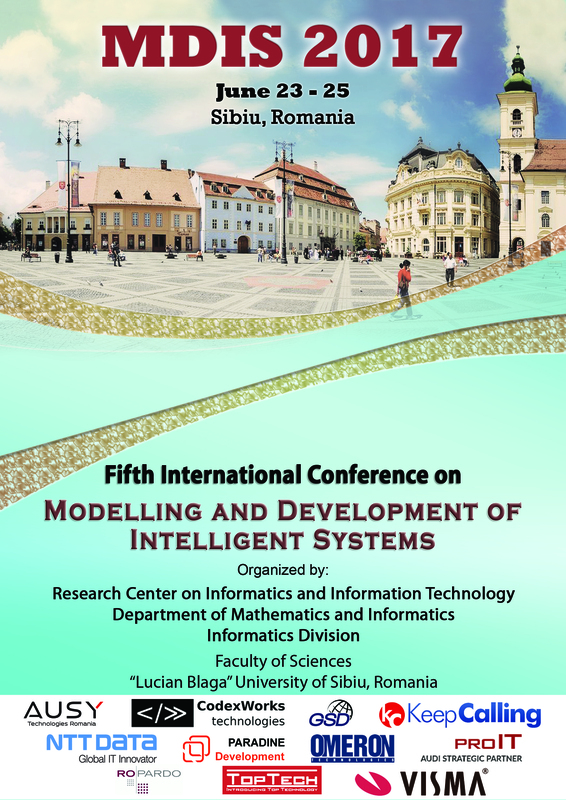 The conference welcomes submissions of original papers on all aspects of modelling and development of intelligent systems ranging from concepts and theoretical developments to advanced technologies and innovative applications. The conference will include Plenary Lectures (30 min), Regular Lectures (20 min) and a Round Table with scientific discussions. Paper acceptance and publication will be judged on the basis of their relevance to the conference topics, clarity of presentation, originality and accuracy of results and proposed solutions. A special volume of refereed and presented papers will be published as a post – conference proceedings. The conference's papers will be reviewed by 2 independent reviewers and published in a proceedings volume, with ISSN and ISBN, printed by Lucian Blaga University Press. The proceedings will be indexed in Zentralblatt database.